TRIKKE is the ultimate personal electric transportation solution for commercial use. 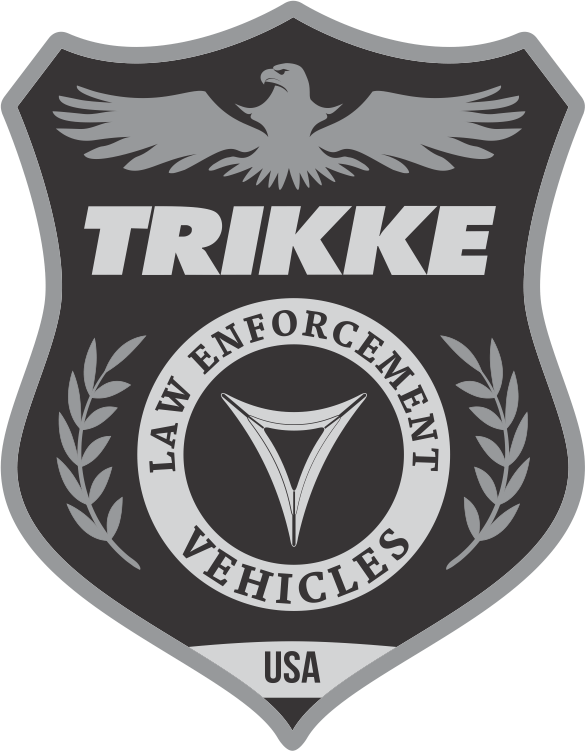 Trikke offers robust, professional grade 3-wheeled vehicles with a patented, cambering frame that leans with you into every turn. Rider-operators experience stability, comfort and performance at all speeds. Trikke vehicles quickly fold for ultimately portability & deployment. Our long range, “quick-swap” lithium-ion batteries makes mileage concerns a thing of the past. Rugged, powerful all-wheel drive, battery operated personal mobility device. Collapsible, lightweight yet fast with towing or sked capacity. Boasting up to 37mph, quick swap battery ranges of 30 miles, these units get you there. Silent running, they have six ultra bright headlights, emergency lights, air horn and siren package. Take corners at full speed and easily make u-turns in the space of a narrow sidewalk thanks to Trikke’s patented cambering frame design. Rugged yet simple = low maintenance. Quick swap battery in seconds, increases operational time. Folds down in seconds to fit into the back of any size vehicle. Makes it much easier to deploy. Intuitive and ergonomic design reduces the learning curve and makes it enjoyable to use for hours an end. Pricing is yet another way we excel in the patrol marketplace. “The Trikke is easy to maneuver indoors and outdoors. It is awesome for changing perceptions of safety and security presence. 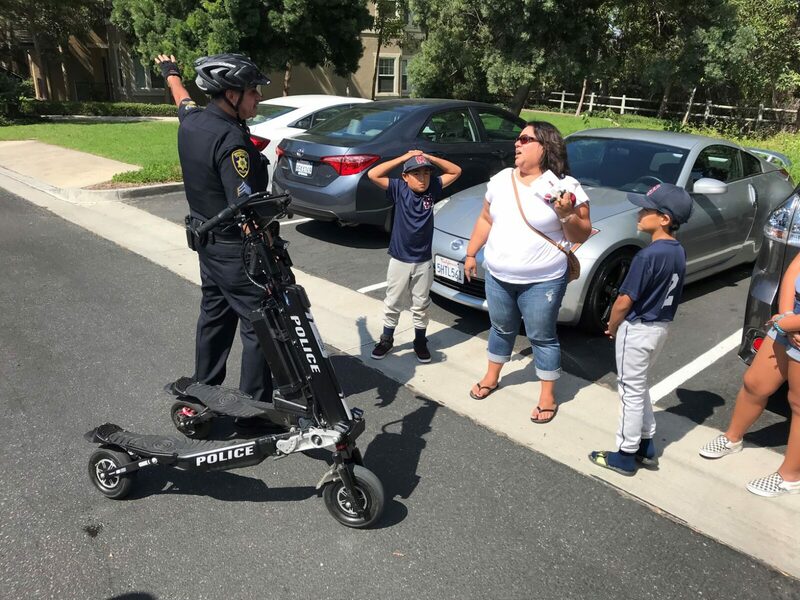 Patients, visitors and staff all smile when I conduct patrols on Trikke”. Manager of Safety and Security, Children's Hospital of Los Angeles. “We are always trying to find better ways to increase deputy presence throughout the Solano College campus in an effort to better serve our students. With these electric patrollers, our deputies are more accessible to our students than driving in a patrol vehicle. We can better find and prevent crime from happening in alcoves and passageways”. at (805)512-8803 or Email us today. Urban workforces need more reliable forms of transportation that can get workers from Point A to Point B — our patrol vehicles can deliver. 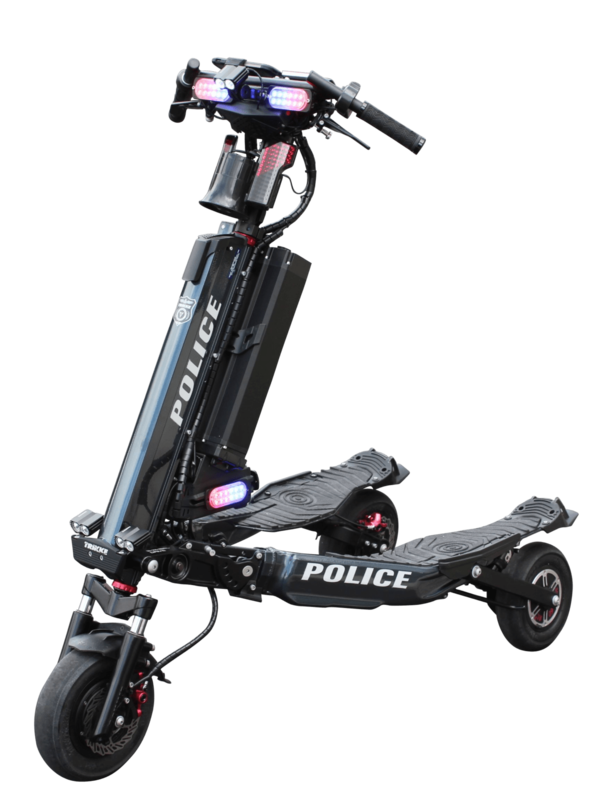 Likewise police and other law enforcement agencies need a more reliable form of personal transporter for navigating dense urban areas quickly and efficiently. The Trikke again is uniquely poised to deliver.